Home > Tips > How Do You Check Who Viewed Your Facebook Profile? How Do You Check Who Viewed Your Facebook Profile? Facebook is a popular social media platform and users often post sundry questions related on the various discussion forums. Among them one of the most popular questions would be “how to find which users visited and viewed your Facebook profile”. You would never be able to know who has viewed your Facebook profile since there are no definite methods available at your disposal. With a massive spike in online harassing cases, it is essential for you to check who has viewed your Facebook profile so that you can report accordingly to the law enforcement authorities. Moreover, you would want to keep track of users to know their lives on Internet or get the popularity of a profile. Sometimes, you would just like to know who viewed your Facebook profile out of curiosity. You will find plenty of articles and videos on the web that claim to provide a solution for this problem. However, users have reported that some methods didn’t work for them. The Facebook management is intelligent enough to dig deep on to the web and modify the background coding based on the situation; Hence, you will find it difficult to ascertain who viewed your Facebook profile since the content and videos would have been outdated by the time you use them. If you had already attempted to check who viewed your Facebook profile using some articles and videos on the web, you should be aware of the possible security risks. 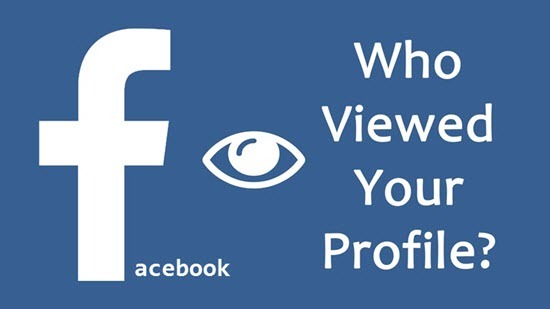 In this article, we will provide the correct steps to check who viewed your Facebook profile. Is It Really Possible to Check Your Facebook Profile Visitors Officially? The answer is pretty simple. Facebook hasn’t provided any official method by which you can know who viewed your Facebook profile. If you had worked with the previous Orkut, this soical platform provided a nice way to know about the users who viewed your profile, which meant you can know who viewed your Orkut profile without applying any hacks, though it already stopped working. Yet there is a different situation in Facebook. The main reason for the Facebook not offering the ability to check your Facebook profile visitors is because of privacy concerns. We also don’t have exact information about when Facebook will give the official steps needed to check the users who have viewed your Facebook profile page. However, we do have a solution for this problem, which you can try. You can check who viewed your Facebook profile by using View Page Source method as explained below. Step 1: Log into your Facebook account using your preferred browser on your computer or laptop. We would suggest you to make use of Google Chrome since the outlined method works perfectly with the browser. Step 3: You will then see a page full with codes. It doesn’t matter if you can’t recognize any of them. Just press Ctrl+F on keyboard and type “InitialChatFriendsList” without any errors in the search box appeared. If you are using MacBook, then press Command + F.
Step 4: The system will display a wide range of number combinations against the keyword – InitialChatFriendsList. These numbers are the profile IDs of other users. Step 5: Then switch back to your Facebook page and copy-paste any of these IDs to the address bar in the browser after the providing character “/” as shown in the figure below. The next step is to press enter. Facebook will display the profile page of the specific user. If you search the web, you might be aware of this method. The above technique helps you to gauge the user engagement on your profile. However, this method doesn’t tell you all the users who visited your Facebook profile. The initial combination of Facebook profile IDs or number are that of the user who view your profile often. The IDs mentioned towards the end are the people who either don’t visit your profile at all or visit very less often. It displays information about people on your friends list. Hence, if any user visits your profile but not found a place on the list, their actual ID will remain undisclosed. You can’t view further information or data because of the severe restrictions imposed by the user to interact effectively on the server-side parameters. How 3rd Party Sources Solutions Can Be Harmful? As mentioned above, there are plenty of articles, blogs and videos that offer different methods to check who viewed your Facebook profile. You should note that most of the solutions offered are fake and are created to dupe users. There are also several Chrome extensions and Mobile apps that offer solution to the same problems. However, the extensions may contain secret codes and malwares that are potentially unsafe to your computer. You should be careful because the extensions can steal your personal data for their own benefits. If you have already installed any illegal software or app, you should delete it immediately to avoid problems. If you are using Windows 7/8/10, you can uninstall the software by navigating to the Control Panel; On iPhone, just long press on the app icon and click on the cross sign appeared. Facebook does not permit anyone to see who viewed the relevant Facebook profiles due to privacy concerns. Yet you will be able to obtain a rough idea about the interaction from other users with your account in the form of likes and comments. However, it is not possible to check how many users actually visited your profile and viewed the content posted by you. There can be users who visited your Facebook profile and left without doing any physical activity. If you are an advanced user, you should learn the relevant tips and tricks to reach your purpose. You will find plenty of articles and videos but you should not believe them completely sine they may prompt with illegal codes. We have provided the correct solution to deal with this matter of checking who viewed your Facebook profile. If you have any question or suggestion, welcome to leave a comment below. Tips: If you want to recover deleted messages on iPhone, you can always use Jihosoft iPhone Data Recovery software to get them back even without backup. How to Fix Snapchat not Working on Android?